If experience has taught you anything, it's that plans don't always go . . . well, as planned. 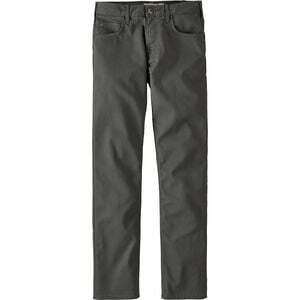 No matter what your day brings, look like you've got it all together with the Patagonia Men's Performance Twill Pants. From morning hikes to afternoons around town, these pants deliver comfort and performance thanks to their stretch twill construction. A wicking finish pulls moisture away from your skin when you're working hard and repels water to keep you dry. Best for lean-to-medium builds, these pants have a slim fit with a classic 5-pocket design to keep you looking good wherever you roam.